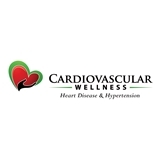 Cardiovascular Wellness (Hicksville) - Book Appointment Online! Our mission is to establish a new paradigm in cardiac care. We provide outstanding, timely, and personalized care to our patients. Our practice philosophy is centered around innovative thinking, evidence based medicine, and state of the art diagnostics, which allows us to offer our patients the absolute best in heart disease and hypertension diagnosis and management. We are committed to improving your quality of life by designing a comprehensive plan of care, individualized to your needs. Your health concerns will be thoroughly investigated, completely understood and effectively addressed. We strive to exceed expectations. We don’t treat diseases; we treat human beings - with compassion and dignity that they deserve.